Deep in the African forest, elephants trumpet and rumble, telling their life stories to listening scientists. In this fascinating episode of the Reading With Your Kids STEM week, we are delighted to be joined by author Patricia Newman. 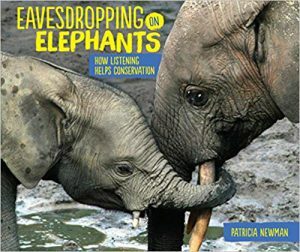 In this exciting STEM week episode, Patricia Newman talks about her latest middle-grade nonfiction book “Eavesdropping on Elephants: How Listening Helps Conservation” wherein she introduces readers to the Elephant Listening Project (ELP), a research program with the Cornell University, and the biologist, Katy Payne who initiated the first recording. Tune in to know how scientists watched and heard elephants celebrating the birth of a new baby, greeting each other. You’ll be amazed to hear about how Patricia interviewed elephant scientists for this lovely work to learn what science is doing to help preserve elephants and their habitats. An excellent choice for anyone who loves elephants! 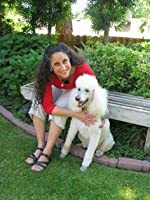 Patricia Newman has a passion for uncovering fascinating aspects of our world and crafting books that lead children on an adventure of discovery. She gravitates toward stories about animals and conservation science and enjoys sharing her excitement with readers. Books include Sibert Honor title Sea Otter Heroes: The Predators That Saved an Ecosystem; Junior Library Guild Selection Eavesdropping on Elephants; Bank Street College Best Book Zoo Scientists to the Rescue; Booklist Editor’s Choice Ebola: Fears and Facts; and Green Earth Book Award winner Plastic, Ahoy! Investigating the Great Pacific Garbage Patch. She frequently speaks at schools, libraries, and conferences about writing and conservation. Click the Amazon link below to grab your copy of Eavesdropping on Elephants: How Listening Helps Conservation today! Patricia has written a number of children’s books mostly on STEM-related topics. What prompted her to write Eavesdropping on Elephants: How Listening Helps Conservation? How do elephants use infrasound to communicate with one another? How does the Elephant Listening Project help in saving Africa’s forest elephants and preserve the music in the forest? She talks about some of the material present in her books for kids to further study. 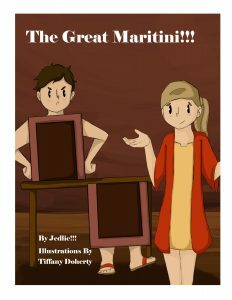 How will her book make a difference in the lives of young readers? A big thank you to Patricia for joining us and for sharing her great insights with our listeners! Read NextWhistle Watch At Uncle Willie’s House by Pamela C. Rice!